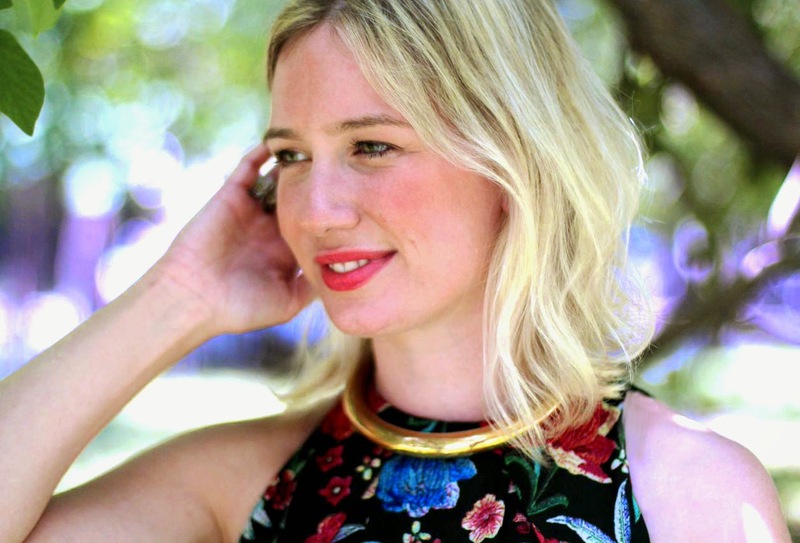 I have been reading Who What Wear since before I packed my bags, and hauled my life to NYC to pursue my career as a Fashion Illustrator 6 years ago. 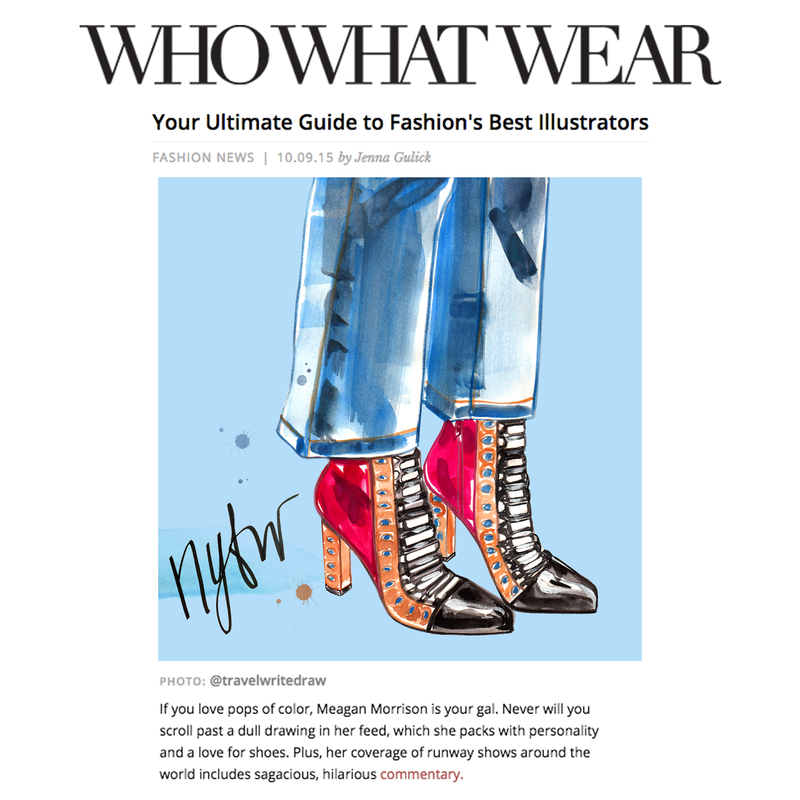 So you can imagine how excited I was when I landed on their list of Fashion's Best Illustrators to Follow!! Check out all the mega (and super unique) talent they selected in the link above. How fantastic! It's wonderful to see you getting the recognition that you deserve for your wonderful artwork! 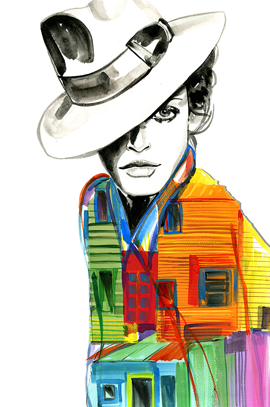 I've always loved fashion illustration, the images are so interesting and vibrant. One my favourite books in my collection is a compendium of concept art for Manolo Blahnik shoes - I just remember being completely overwhelmed by how something as normalised by everyday life as a shoe could not only be represented so exquisitely in works of art but could also transcend the boundary into works of art themselves.